There are a few ways to create an RFQ. Navigate to Account in the user menu. Click Request for Quote in the menu on the left. Click +New Quote on the right of the page. 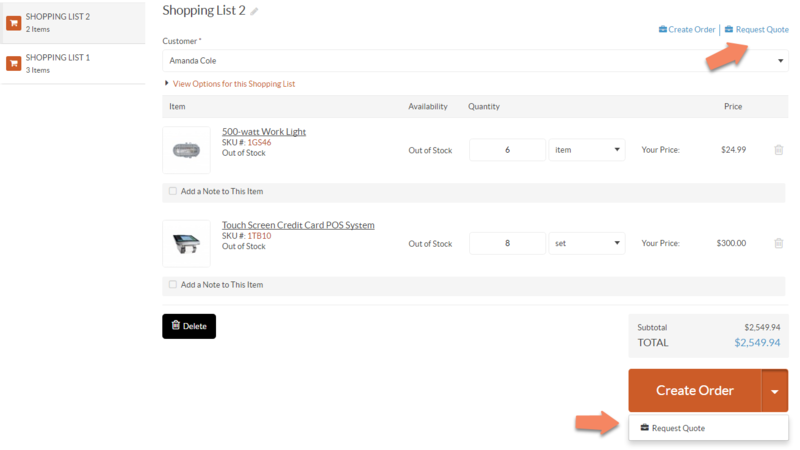 In the top right corner, click on the Shopping List(s) button to view all available shopping lists. Click on the necessary shopping list. 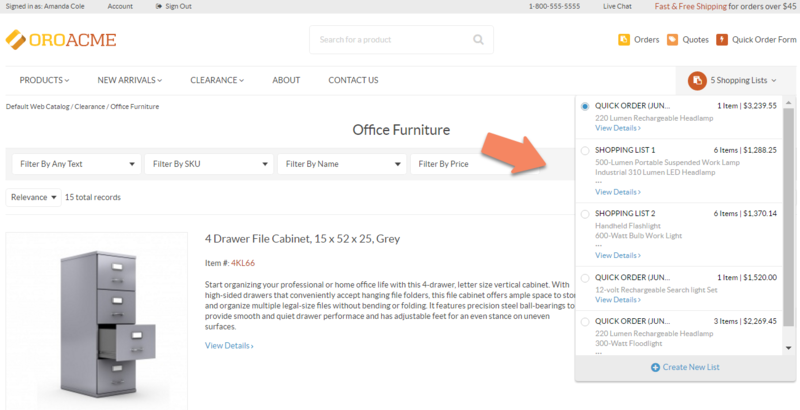 Click Request Quote on the top right of the page, or by selecting this option from the drop-down list of the Create Order button at the bottom of the page. Whichever way you select, a form will emerge prompting you to provide information. 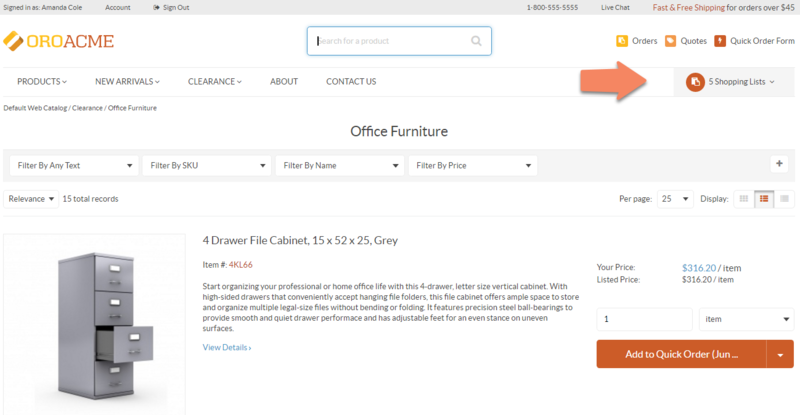 Select a product from the dropdown, or click to see a complete list of products. Enter the number of items/sets. Click Add Another Line to provide additional quantities and price. Add a note to the item by clicking Add a Note to This Item (You can delete or update such note by clicking on the corresponding buttons). 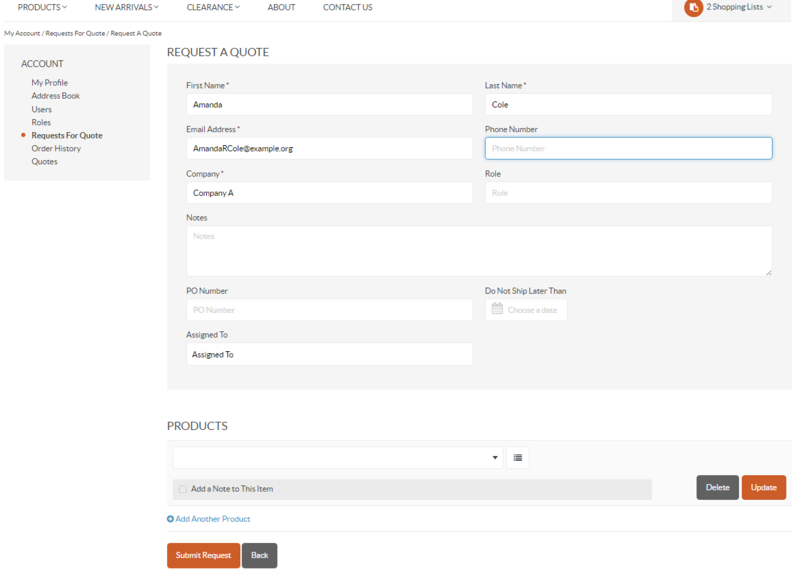 Click Add Another Product if an RFQ for more than one product is required. Click Submit Request to send the RFQ. If you are creating an RFQ for the products in the shopping list, the Products section is be pre-defined. There are options to edit, delete the products, or add another product to the list. In the Data Protection section, you may be required to accept mandatory consents to process your personal information. If the consent is not accepted, you cannot submit the RFQ. 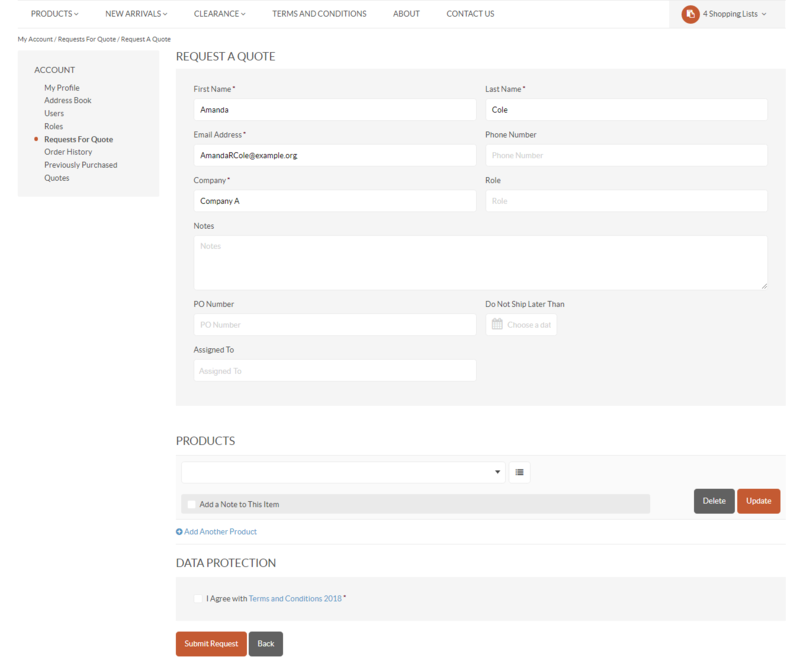 To view a specific RFQ, click View on it in the view table. Line Items (item name, requested quantity, target price). 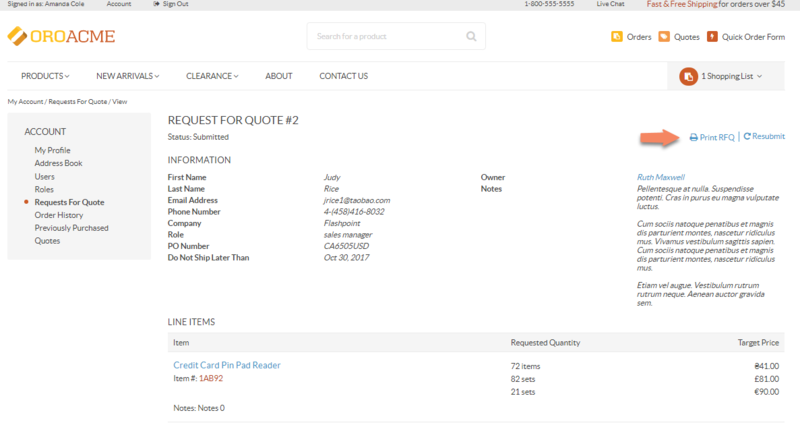 You can print the selected RFQ by clicking Print RFQ on the top right of the view page. 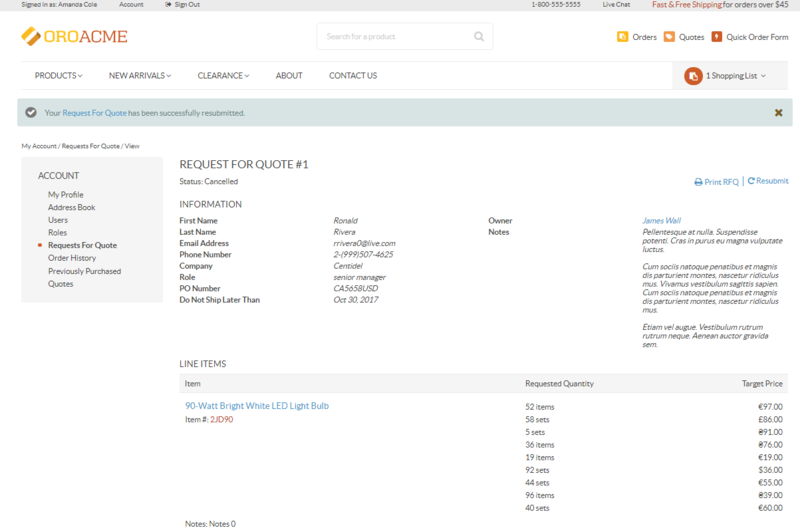 You can resubmit the RFQ by clicking Resubmit on the top right of the view page.